R. Scott Alagood a Denton County Real Estate Attorney Board Certified in Both Residential and Commercial Real Estate Law, Texas Super Lawyer 2018, 2017, 2016, 2015, 2014, 2013, 2012, 2004, and 2003. A receivership is an equitable and legal remedy that may be used to acquire possession of property by a court appointed party known as a receiver. A receiver’s powers are derived directly from the appointing court. The receiver is a disinterested party who represents and protects the interests of all other persons for the receivership property. A court appointed receiver is an extremely harsh remedy. The remedy allows the State to take possession and control of private property and place it in the hands of a third party. A court will appoint a receiver only if there are no other less harsh remedies available. A receivership in Texas may be installed under rules of equity (“fairness”) or pursuant to a specific statute. Under equity, a receivership must be “ancillary” to an otherwise apparently valid claim or remedy and to protect or preserve property during the pendency of a lawsuit. Where the receivership arises out of a statute, it doesn’t matter if ancillary claims exist. Equitable Receiverships. A court may appoint a receiver in any case in which a receiver may be appointed under the rules of equity. Corporation that is insolvent, or is in imminent danger of insolvency, has been dissolved, or has forfeited its corporate rights. Family Law Receiverships. In conjunction with a divorce proceeding, a court may appoint a receiver as a temporary order for the preservation and protection of spousal property. Post Judgment Receiverships. Judgment creditors may seek the appointment of a receiver to assist in the satisfaction of a judgment in certain circumstances. Business Entity Receiverships. A receiver may be appointed for a corporation that is insolvent, is in imminent danger of insolvency, has been dissolved, or has forfeited its corporate rights. The Texas Business Organizations Code deals with the appointment or a receiver for any domestic entity (including corporations, partnerships, limited liability companies, and associations) or its property. Mineral Receiverships. A receiver may be appointed where a mineral interest or mineral leasehold interest is owned by a nonresident or absent defendant, and upon the application of a person who has a vested, contingent, or possible interest in land or an estate subject to a contingent future interest in order to lease the land for development pending the vesting of the contingent interest. Congregational Receiverships. A receiver may be appointed for a religious congregation which had maintained regular forms of work and worship in a community at regular intervals, but ceased to function in such capacities for at least one year. To qualify as a receiver a candidate must be a citizen and qualified voter of Texas at the time of the appointment. A candidate must not be a party, attorney, or other person interested in the action in which the receiver is sought. Absent the appointment of a receiver upon the court’s own motion, a party seeking such appointment must file an application with a court having proper jurisdiction over the subject matter of the suit. Except in certain extreme circumstances, notice and opportunity to be heard must be provided to all adverse parties prior to the appointment. An ex parte appointment should rarely be sought, and very well may constitute an unlawful taking of property the Texas and U.S. Constitution. 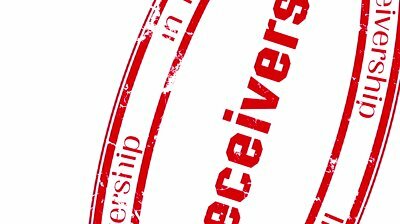 The receiver must take an oath to faithfully perform all duties of the receivership and execute a good and sufficient bond. The applicant must file a bond approved by the clerk payable to the defendant in an amount determined by the court. A court may dispense with the issuance of the applicant’s bond in a divorce. A receiver may take charge and keep possession of receivership property, receive rents, collect and compromise demands, make transfers, and perform other acts as authorized by the court. The act of the receiver does not bind the receivership property unless first authorized and subsequently approved by the court. Following the appointment, a receiver must take an inventory of the property received and report it to the court. Where a party or other person subject to the receivership fails to release possession of receivership property, the receiver may bring an action to obtain possession. A receiver may only sell the interest that it has in the receivership property at the time the receiver was appointed. Any receiver sale is a judicial sale and must be authorized and confirmed by the court before title will transfer. Once all property has been disposed of and all proceeds distributed, then the receiver should be discharged. The final discharge order should include the final accounting of the receivership, a determination of the receiver’s fees, the restoration of any remaining property to the rightful owners, and a final discharge the receiver. As social media expands at an exponential rate and communication to the masses is made as easy as a click of a button, the world is spewing their thoughts, views, and opinions for everyone to see. Can such statements come back to haunt the party making them. Certainly, in many different ways. Just ask Donald Sterling. However, when do statements rise to conduct which may place the party making the statements in jeopardy of being sued for fraud. Fraud or misrepresentation claims must be based on false statements. So long as a statement consists of “pure” opinion, it cannot constitute a false representation. Purity in anything is hard to find. Purity is not so much a condition fixed in time and space, but an ideal or a standard that may be sought after. Like perfection, it is a pursuit and not something that is necessarily attainable. It is also difficult to determine whether a statement is one of “opinion” or “fact”. Webster’s definition of opinion is “a belief stronger than an impression and less strong than positive knowledge.” Courts seem to follow this definition in most instances. Courts group “opinions” along with “judgments”, “probabilities”, and “expectations”. Therefore, statements made about matters that fall short of positive knowledge should not be actionable as an “opinion”. There are a few exceptions to the general rule that “opinions” are not actionable fraud or misrepresentations. These exceptions are: 1) opinions the speaker knows to be false; 2) opinions mixed with false statements of fact; 3) and opinions based on special knowledge. The first exception is creates a situation that is difficult to prove in court. The party accused of making an actionable misrepresentation is put in the position having to prove that although their opinion was wrong, they didn’t know it at the time. This situation requires the party asserting the exception to prove a negative, which is difficult if not impossible. So at best, the party ends up testifying that they didn’t know their opinion was untruthful, hopefully backed up by some sensible rationale, and hope that there isn’t any direct or circumstantial evidence to the contrary. Otherwise, the simple fact of making an incorrect opinion may be enough to allow the fact finder to imply knowledge of the untruthful nature of the statement. The second exception is fairly self-explanatory. Where a party expresses an opinion mixed with statements of fact that are false, the opinion portion of the statement will not clothe the false facts with any protection. Reliance upon the false facts by the other party will support an action for fraud. Further, where facts are included with “opinion”, such “opinion” cannot be considered “pure”. The final exception relates to opinions based on special knowledge. Special knowledge means knowledge of specific facts that underlie the false opinion. However, many courts appear to often confuse special knowledge with special expertise held by persons such as doctors, lawyers, or engineers. In practice, this exception often makes it difficult for the accused to use the “opinion” defense where the accused party is significantly more sophisticated than the other party to whom the statement was made. When correctly applied, this exception will negate the “opinion” defense if the party making the statement has actual knowledge of or special access to particular facts underlying the false statement and the party relying upon such statement does not have such knowledge or access. Making false statements of opinion can place a party in potentially hot water. To reduce the chances of being sued for fraud for incorrect statements, consider the following suggestions. Make it clear when you are expressing an opinion that you are only expressing “your opinion”. Phrases such as “in my opinion”, “I believe”, “speaking for myself”, or “I think”, will help bolster an argument that the statement was not a statement of fact, but instead an “opinion”. Be certain that any factual statements are correct and you have the ability to justify their accuracy. Indicate that you are not sure if that is the case. In real estate or stock transactions, false statements of fact can create liability even if you honestly believed them at the time. Give the other party access to the same information you have utilized in forming your opinion or statement of fact. Give them the opportunity to review it for themselves. Do what you can to encourage them to look into the subject for themselves. Finally, be careful who you talk to and how you disseminate information. Know your intended audience, and realize that in today’s world, everyone is listening. R. Scott Alagood is board certified in Commercial and Residential Real Estate Law by the Texas Board of Legal Specialization. Scott can be reached at alagood@dentonlaw.com and http://www.dentonlaw.com. Texas allows lenders to make “reverse mortgages” which are secured by a borrower’s homestead. A reverse mortgage is an instrument that allows a borrower to borrow money against the equity in his or her home in a single installment, in annuity-like installments, or a line-of-credit available on demand. Like home equity loans, reverse mortgages are subject to a litany of state constitutional restrictions. 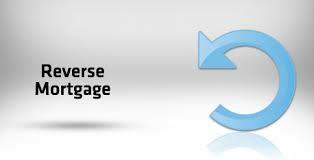 A reverse mortgage may only be created voluntarily by the borrower through a written contract. Each owner and each owner’s spouse must join and consent to the reverse mortgage. A reverse mortgage may not be made unless the borrower or borrower’s spouse is at least 62 years of age at the time the loan is made. The borrower fails to maintain the priority of the reverse mortgage after receiving notice from the lender and an opportunity to cure. Unless voluntarily repaid, when the note becomes due the lender may only satisfy the outstanding balance of principal and accrued interest from foreclosure of the secured property. Reverse mortgages may only be foreclosed through a lawsuit for judicial foreclosure or an expedited legal proceeding allowing foreclosure under the deed of trust. Neither the note nor any deficiency occurring from the foreclosure sale may be satisfied from the borrower’s estate. Said another way, the borrower is not personally liable for the repayment of the loan. A reverse mortgage may not be made unless the borrower and each owner receive counseling regarding the advisability and availability of reverse mortgages and other financial alternatives. The borrower and each owner must attest in writing that they each received the required counseling. If the lender fails to make any required loan advances after receiving notice from the borrower, then the lender forfeits all principal and interest on the reverse mortgage. Reverse mortgages are not for everyone. Since the loan will not be typically repaid until after the death of the borrower or the sale of the home, family and heirs should be consulted before entering into the loan. Life insurance may be an available option to use to pay off the reverse mortgage upon the borrower’s death. Reverse mortgages may include high closing costs. Because of a life expectancy factor in the loan repayment formula, less money will be available from the loan for younger borrowers. Also, if a reverse mortgage is obtained, seniors may be prohibited from receiving available deferrals of ad valorem taxes. Applying for tax credits and tax abatements for seniors. While no one plans to run out of money during retirement, the longer folks live, the harder it becomes to sustain the necessary income to provide for living expenses. A reverse mortgage is one option that may be considered for seniors needing addition income. However, care should be taken to make sure that all of the resulting consequences have been considered before entering into a reverse mortgage. Amendments to the Texas Constitution concerning reverse mortgages are currently scheduled for approval during the November 5, 2013, general election. If approval, these amendments will become effective upon proclamation by Governor Perry. R. Scott Alagood is board certified in Residential and Commercial Real Estate Law by the Texas Board of Legal Specialization. Scott may be contacted at alagood@dentonlaw.com and http://www.dentonlaw.com.